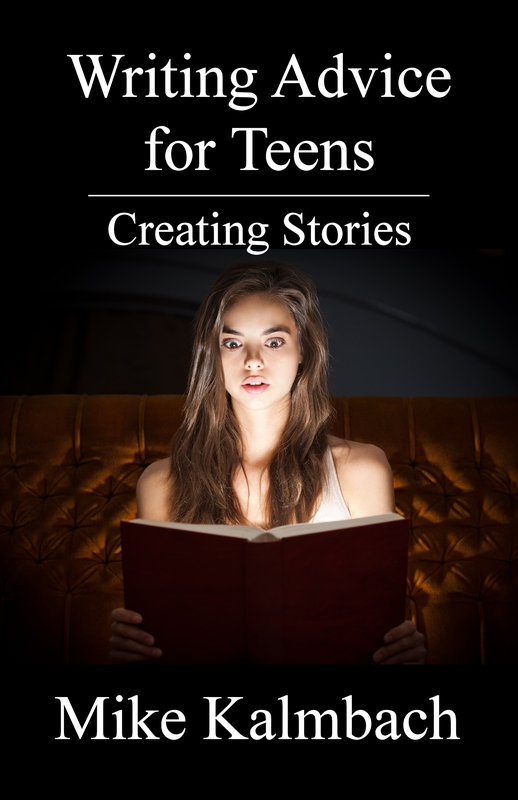 This is an excerpt from an upcoming book in the Writing Advice for Teens series: Editing Fiction. Enjoy! Every word you write takes time to read. When a reader has to reread something because they got confused, that’s time wasted. Let’s say that you have a manuscript with 100,000 words. What would happen if we cut that down to 95,000 words by streamlining phrases and cutting unnecessary scenes? An average reader reads at a rate of about 250 words a minute. Cutting those 5000 words lets your reader finish about twenty minutes faster. If you have 25,000 people read your book, you’ll have saved almost a year of human life. If your book becomes a bestseller and sells a million copies, you’ll save thirty-eight years of human life by cutting out those 5,000 words. By this logic, the most efficient page would be a blank one. Does this mean we shouldn’t write anything at all? Of course not. After all, without stories, life would be pretty dull. As a writer, your goal should be to use words as efficiently as possible. Use simple words and vivid details to let the reader experience your story. The best books are those where you forget you’re reading, and that’s usually because someone took the time to write efficiently. Strive to be the best. I’m a fourteen-year-old with a dream of becoming a best-selling author one day. Some of the tips you’ve listed here can actually cause writer’s block- they are known for it, even. For example, writing daily at about the same time, can create an environment in which you only think of that time of day. You might only be thinking of a dark house, the bright sun, or an everlastingly beautiful sunset. I get ideas from my surroundings, and my surroundings are like a well. Once that well dries up, you need to go find a new water source, or wait until it rains. My advice is to find newer, stranger, places to write, and you’ll get much more done. Also, I do find it helpful to listen to music with lyrics that I CAN understand. The songs have emotions, and when my MP3 is on shuffle, the different feelings can give you a good idea of real life. Mostly because life is filled with more than just one person’s emotions, or just your main characters’ feelings. The feel and beat in the music can sway your writing, give you new ideas, and help with flow. Another idea that I’ve found helpful is to- believe it or not- picture yourself as your character. Feel their emotions, live their life, wear what they wear. Do a bit of dress-up; sure, people might look at you funny, but who really cares, when it helps. Hi Faith! Thanks for your comment. Excellent point about how this post could cause writer’s block–if you focus on it while you’re creating your work. That wasn’t the intention of this post, but I completely get how it was misinterpreted. I missed one important detail: this is an excerpt from an upcoming book on editing. I’ve updated the post to show that. When you revise your work, look for inefficient language so you can tell your story in fewer words. When you’re creating a new story, don’t worry about that–just focus on getting your story down. Like you, I’m also a big fan of experimentation–pretending I’m one of my characters, taking acting classes, trying social experiments like suddenly changing my behavior to see how others react. This is really good for research and inspiring creativity, and there’s certainly a lot of value in that. You’ll definitely get good material for creating new stories. Please continue to do this–you’ll learn a lot! Different things will work for different people, but routines usually work best. There’s a reason that people usually choose the same time of day to do homework, chores, or hobbies: it’s a way to fit it into a busy day. Finding stranger places to write can definitely provide new inspiration, but a lot of times you may find yourself distracted and less productive. I’ve worked with hundreds of writers (including one New York Times bestselling author, Jason Hough), and the vast majority find that they get the most done when they have dedicated writing time. You could be an exception. I’d suggest that you measure your productivity with different methods. Try a week of writing whenever it feels right, and count how many words you finish. Try taking a week where you have dedicated a half hour every day, plus any other random times you feel like writing, and see how much you get done then. Once you’ve done some experiments and see the results, you’ll figure out how you work best. Thanks for your comment. I’m looking forward to getting to know you better, and am now off to read your blog. Have a great evening! I need some people to review the Teasers I placed in the My Writings tab on my website. I was wondering if you could maybe read them and leave me some feedback? Constructive criticism, please. What makes a book a page turner? How do I choose names for my characters, creatures, or settings? admin on What makes a book a page turner? Kenzie on What makes a book a page turner?